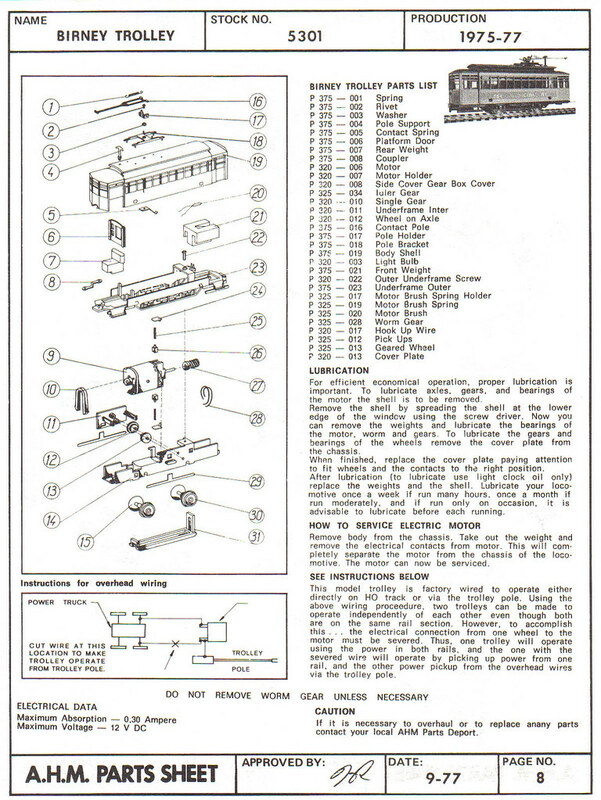 AHM's Brill Trolley appears with an Introductory Offer advertisement in the February 1976 edition of Railroad Model Craftsman magazine. Three examples are pictured (Third Ave., Public Service, and Municipal Railway) with a retail of $10.98 and an introductory special offer of $8.88 each. 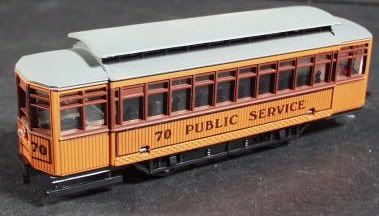 The AHM ad states the model may be operated from overhead catenary or from regular HO-scale track. AHM's model was produced in Yugoslavia. Above is AHM's parts diagrams for the Trolley. You may click on any thumbnail image to open a large version for best viewing.